Sunrover invites you to explore the world's largest Sand Island on this Great Walk. The 5 day camping, or Accommodation safari will guide you through Fraser Island's unique ecosystems. Daily trips by 4WD, support the most extensive walking tour on Fraser Island. Visit 'off the beaten path' wilderness habitats, or simply relax. 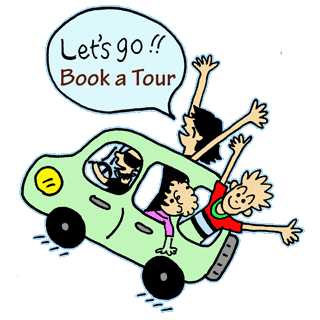 With over 25 years experience and the most extensive permits, your local friendly tour guide and driver will allow you to see more and do more than any other tour company. Travel in small groups (less than 10) and see more wildlife, and explore off the trail remote wilderness habitats. While on the island, you can cast your line into the surf or swim in tranquil fresh water lakes, relax and stroll on moon-lit beaches, explore the vast desert-like sand blows, and breathe in the fresh air of the world's largest sand island. A campfire of an evening under the stars on the worlds largest sand island! Base Camp at Fraser Island Research and Learning Centre (located in Dilli Village), eastern surf beach of Fraser Island - "The start of Great Walks on Fraser Island"
Meet and Greet your friendly eco-tour guide driver before departing Brisbane, and travel north on the Bruce Highway via the Sunshine Coast and Noosa. Traveling north along the Cooloola Coast, witness the wonder of Red Gorge and the Cooloola Coloured Sands, before spotting Double Island Point Lighthouse and National Park. Early Lunch stop at Rainbow Beach. Take time to relax, visit the local beach to swim overlooking coloured sands or wander through the local shops. We depart via 4WD for Inskip Point. View Hervey Bay and Tin Can Bay before travelling the 4WD track to the ferry departure point. Sunrover has pre-arranged all permits and ferry fees. As we cross the calm but deep waters look out for dolphins, turtles, sharks, and stingrays. Disembark the ferry and 4WD the southern end of the world's largest sand island and along the beach to Hook Point and the freshwater creeks running into the Pacific Ocean. 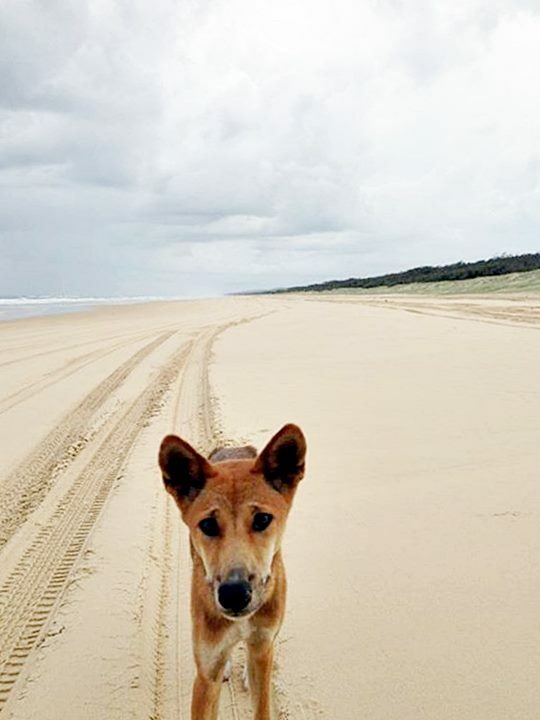 Travel along Fraser's majestic 75 mile Ocean Surf Beach to Govi Creek and Dilli Beach Fraser Island - "The Start of the Great Walk on Fraser Island - The camp is already setup with a great safe fenced camp area only 100 metres from the surf beach. 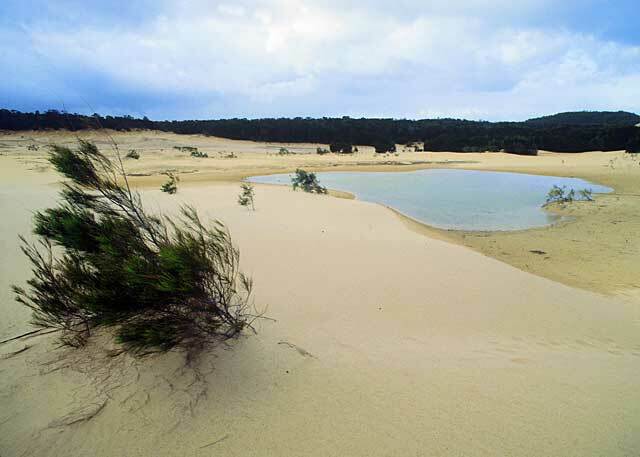 The afternoon is a 4WD tour and hike into Lake Wabby - Barrage Lake formed when a mobile Sand dune dams a fresh water creek. The group enjoys a forest hike 5 km return. This is a favourite as the walk covers 5 different coastal environments. 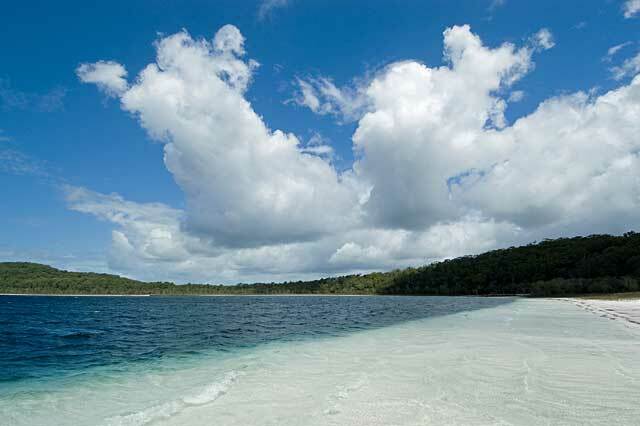 This lake is also Fraser Island's deepest Lake and has the most number of freshwater fish. Take time to relax and enjoy the afternoon serenity, before returning to the 75 mile surf beach - enjoy a walk on the deserted beach before a 4WD run along the beach back to the southern campsite, National Park Cabin, Resort or Eco Villas. Freshen up as the guide lights the fire and you can enjoy a chip and dip and cold drink around the camp fire - recalling stories of the day. Tonight for dinner we have BBQ fish with salads, breads, fresh fruits. soft drinks, orange juices, tea and coffee supplied. (BYO Alcohol). *If staying at the resort - buffet dinners and hot country style breakfasts are supplied by the restaurants. Start the day with a healthy breakfast before starting the southern Great Walk on Fraser Island to Lake Boomanjin (the worlds largest perched lake). As you pass the coastal heath swamp and coastal woodlands, lookout for kangaroo, goannas, bandicoots and bar shouldered doves. Entering the mixed forest and wallum woodlands walk through scribbly gums and the reddish trunks of the smooth-barked apple tree and the corky bark banksias. 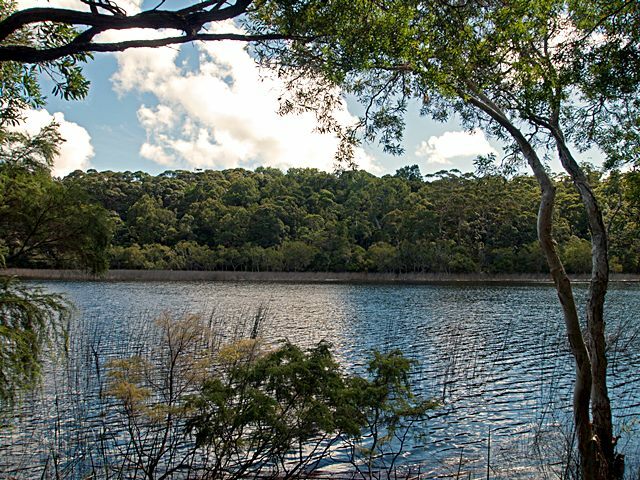 The tea-coloured waters of Lake Boomanjin are stained brown by organic compounds from decaying vegetation, this forms a base for the lake to hold water. Enjoy morning tea in the forest under the shade of Pink Bloodwood trees and Moreton Bay Ash. Your guide with the group will 4WD to Lake Benaroon and Lake Birrabeen. This wonderful lake has great white sandy beaches. Swim, relax or walk the saucer-shaped beaches and dunes. Enjoy the natural surrounds of the lake. 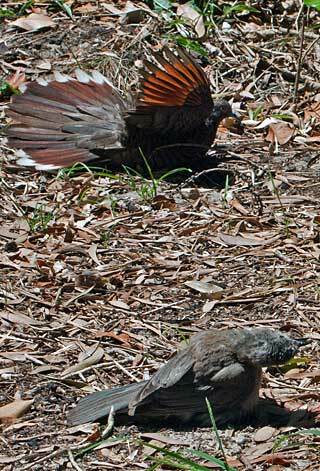 Often kangaroo, koala, wallaby, Pelican, hawks, falcon, kites, eels and many reptiles can be spotted all year round. If you have a special interest, Email or mention at time of booking. The next hike is into the Rainforest past Lake Jennings. The cool air of the rainforest awaits over the hills as we pass old logging forest, planted hoop pine and unique landscapes. Prepare for the beauty of Central Station Rainforest. Lunch is ready on your arrival with ham salads, breads,fresh fruits and cold drinks. This stop is a wildlife highlight. The many birds of the rainforest can be heard calling. 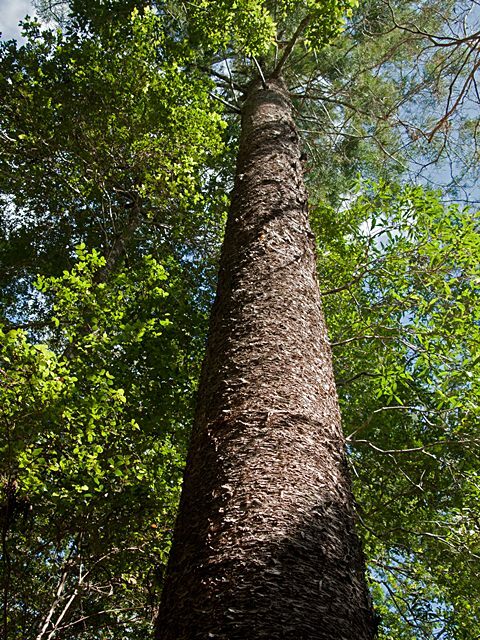 Spot goannas, dingos, eels and fish in the world heritage national park surround by the largest and rare Satinay Trees. Return to camp via Eurong township and 75 Mile Surf Beach. Aussie BBQ with Hamburgers, sausages, salads and drinks for dinner awaits around the campfire. Tonight is star gazing with marshmallows around the campfire. Resort clients can Sunset beach walk before a buffet dinner, then enjoy the stars from the Eastern Surf Beach. 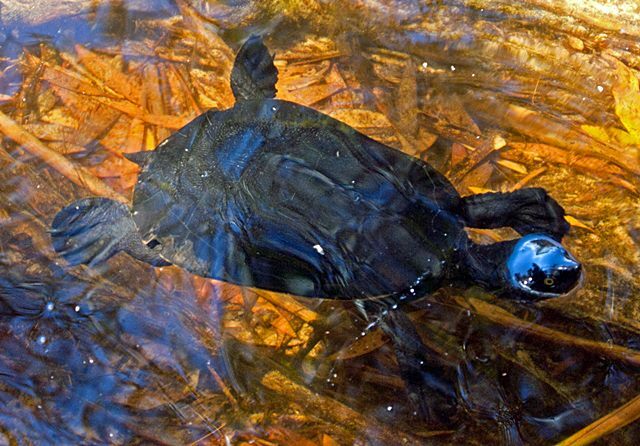 The next section of the Great Walk is completed by 4WD through the northern rainforest, to see the tortoises at Lake Allom. The 1.4km circuit is surrounded by Kauri pine forest, Tall Satinay and Hoop pines, still growing in the their natural state. The drive along the beach, features the high coloured cliffs of The Cathedrals. 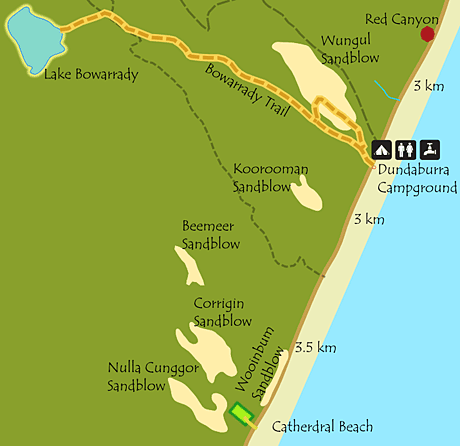 Explore Dundubara campsite or hike to Wungal Sandblow. Throughout the afternoon, enjoy beach fishing or a stroll along the beach, before dinner around the campfire. Late night on deserted beach, spot ghost crabs, pied oyster catchers and hear the curlew sing. Enjoy morning tea and cold drinks at the base of the headland. The next walk is along the sand track to the beach. Travel from the beach to the car park boardwalk. This boardwalk is situated on top of Middle Rock Headland, Great views of Indian Head, Champagne Pools, Waddy Point and marine wildlife. 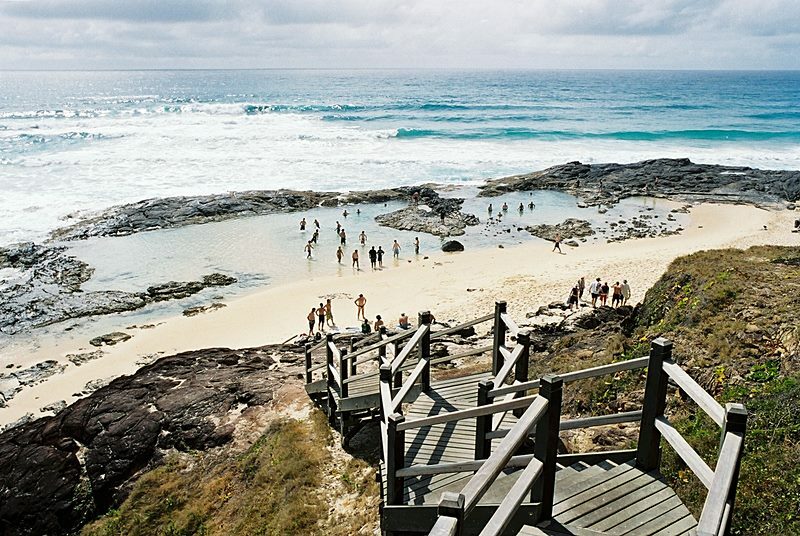 Swim and snorkel in the Champagne Pools, before taking the beach hike to Waddy Point. Walk along the saddle through low developing coastal woodlands to the advancing edge of Binngih Sanblow. Venturing further north to Orchid Beach. Dinner is served around the campfire - Chicken stir fry tonight. Resort guests enjoy chef prepared meals after a day of exploring. Explore Corroboree Beach (south of Indian Head) old settlement region.